Continuing the monthly compilation of the monthly posts. Here are the posts of August 2010. Next month will be the 12th one, it’s been a year already, thank you so much for your support by visiting the site. â€¢ An iPhone development company in Saudi Arabia. â€¢ Exclusive: Quadical announces Sibawayh for Arabic ebooks. â€¢ Samba launches mobile banking solutions for the iPhone. â€¢ Microsoft dawdles over supporting Arab Mac users. 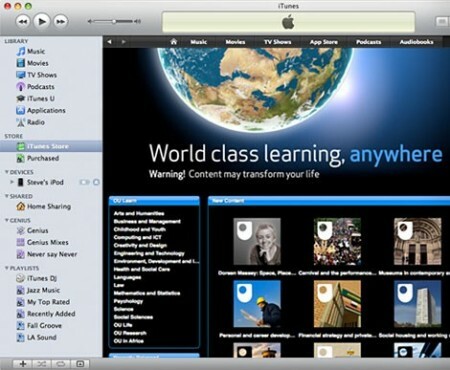 â€¢ 300 Million downloads from iTunes U.
â€¢ Microsoft Middle Eastâ€™s press release regarding Office for Mac 2011.
â€¢ Video: iPad is Delicious ad by Apple. â€¢ Jarir Bookstore selling overpriced iPhone 4.
â€¢ Photos and videos of Apple Store Covent Garden London opening. â€¢ Mobily announces official iPhone 4 release. â€¢ You Scratched My Mac!. â€¢ Easily create Arabic eBooks for iPad, iPhone. â€¢ Asking the readers: How to recharge the 3G sim from mobily on iPad?. â€¢ Two new Mobily iPhone apps: Ramadaniaty, iHasanaty. â€¢ MacBook Pro EFI Firmware Update. â€¢ iWork update includes ePub export. â€¢ iPad Arabic keyboard hack, a temporary alternative. â€¢ Security Update 2010-005 for Leopard and Snow Leopard. â€¢ Flickit app for flickr updated. â€¢ Rage FPS game for the iPhone 4 at 60fps. â€¢ Snow Leopard Graphics Update. â€¢ Aramex Mobile iPhone App. â€¢ Updates: iMac display brightness and Quicktime for Windows. â€¢ iPad OS 3.2.2 update fixes PDF exploit. â€¢ iOS 4.0.2 update fixes PDF exploit. â€¢ CineXPlayer, an Xvid Avi player for the iPad. â€¢ 30 Travel apps (mostly free). â€¢ Quran Reader HD for the iPad. â€¢ RAW Compatibility Update 3.3.
â€¢ Session manager Safari Extension.